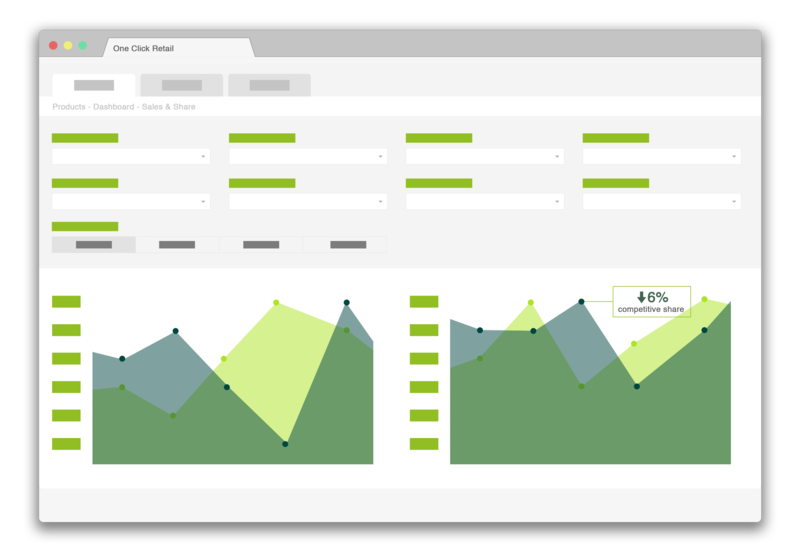 One Click Retail is a market leader in eCommerce data measurement, sales analytics and search optimization for brand manufacturers in North America, Europe and Asia. Our proprietary sales calculations are 90% accurate down to the SKU level. Our accuracy is unrivaled in the marketplace. Get a free demo of our service today and let it help you start driving sales and profitability across eCommerce. "Our eCommerce experts have worked at the worlds largest retailers and manufacturers and can teach you how to apply the information you receive." Know if you’re truly growing or merely riding a wave of internet acceleration. Request a FREE personalized demo. your request and to stay in touch via email regarding OCR’s products and services. 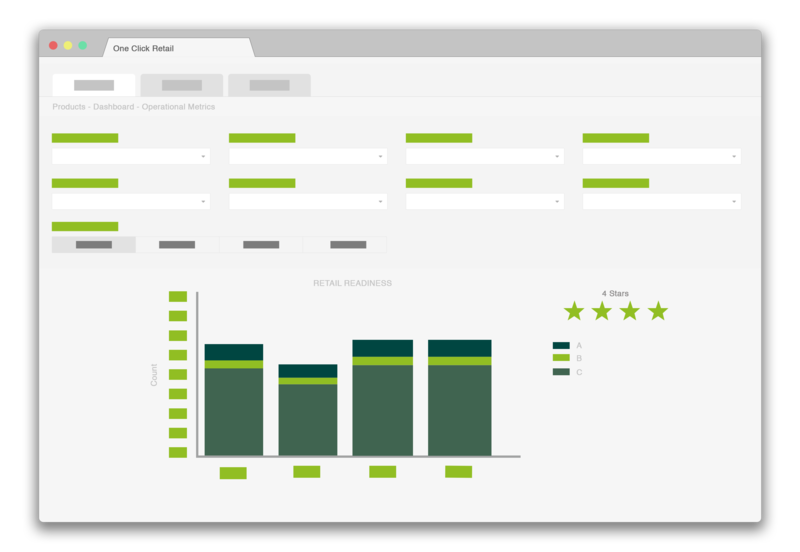 Compare multiple retailers with accurate and consistent estimates. 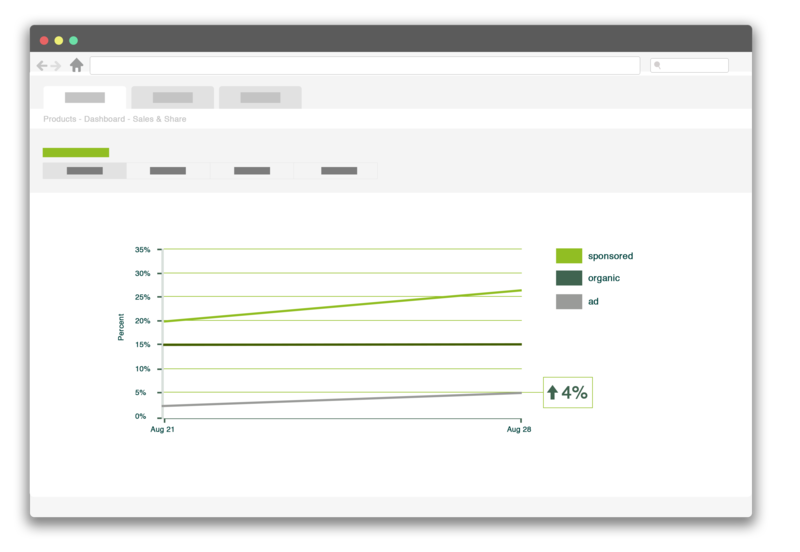 Track your key performance metrics, including: Traffic, Conversion and Sales (in units or currency). 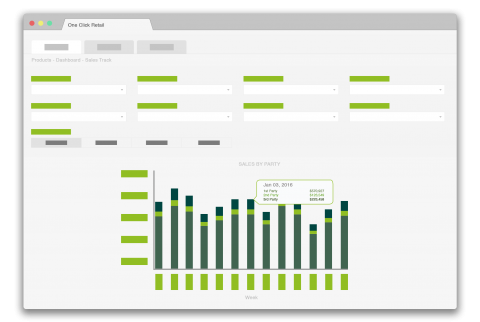 Measure and slice data by Brand, Categories and Subcategories. Access Trend Charts for the time periods you want to assess. Data + Knowledge = Power. Our eCommerce experts have worked at the worlds largest retailers and manufacturers and can teach you how to apply the information you receive. Profitability at Amazon: Buyer’s view of your P&L, avoid CRAP out. Speak Amazonian: Who to engage, when, and for what. 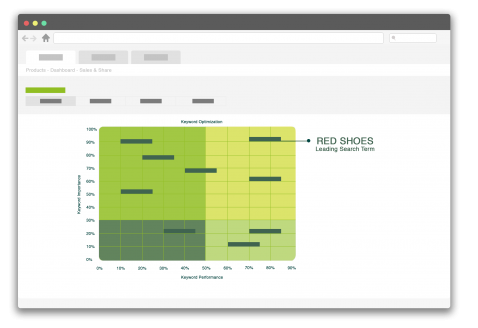 "One Click Retail enables stronger ownership of our business by helping turn data into insights and insights into actions. The value this provides is immeasurable and has proven critical to our growth."